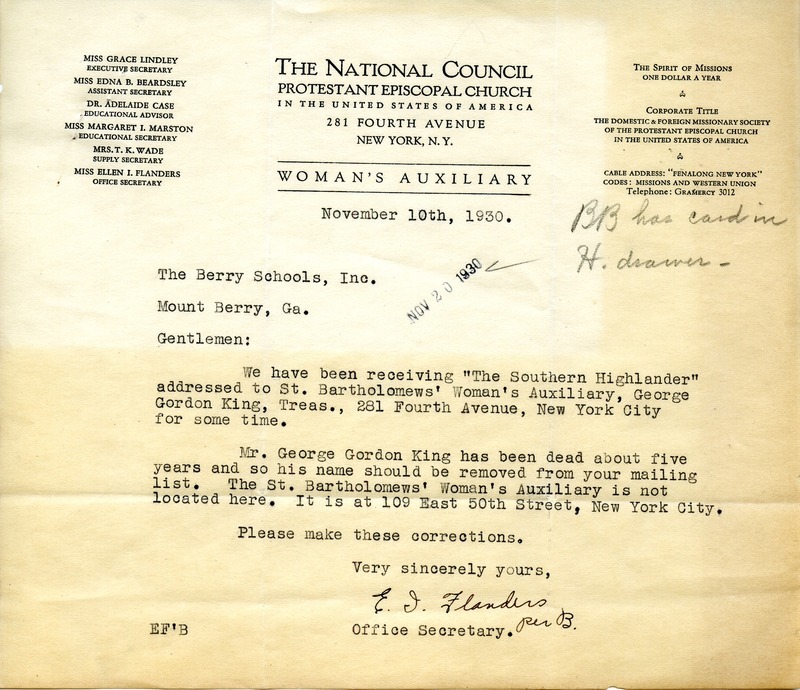 Miss Flanders writes to correct the mailing list that The Berry Schools has due to the death of Mr. George King and to inform them that the Woman's Auxiliary is not located at the address they had listed. “Letter to The Berry Schools from Ellen Flanders.” Martha Berry Digital Archive. Eds. Schlitz, Stephanie A., Jordan Brannen, Aaron Jackson, Meg Ratliff, et al. Mount Berry: Berry College, 2014. accessed April 19, 2019, https://mbda.berry.edu/items/show/13935.